Under the settlement (which requires court approval), Musk will be allowed to stay as CEO but must leave his role as chairman of the board within 45 days and can’t seek reelection for three years. As if that’ll matter – he’ll still be there. Musk accepted the deal with the SEC “without admitting or denying the allegations of the complaint,” according to a court document. 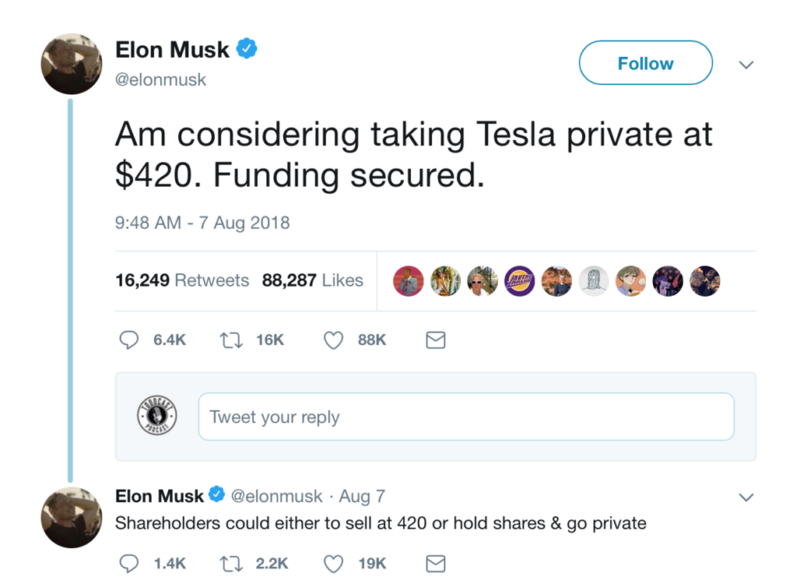 When Musk recently smoked a joint on Joe Rogan’s podcast Tesla stock dropped 9%. Do you think Musk is being targeted or is this lawsuit justified?